is a storefront for Google Apps customers to discover, purchase, deploy and manage web applications which are integrated with Google Apps. These applications are typically used from desktops and laptops, but many vendors on the Apps Marketplace have also optimized the experience for their users who are on-the-go. There are several different strategies for enabling a mobile workforce, and each requires a different approach to authentication and authorization. 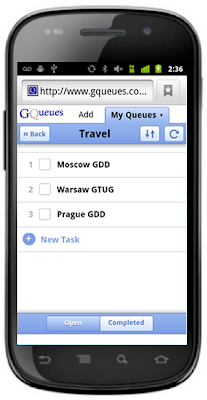 Google has written applications and synchronization clients to help ensure that the core Google Apps data is available to users on their mobile devices, whether they’re on their mobile phones or tablets. By storing contacts, dates and documents from your application in Google Apps using the application APIs, you can leverage these features to provide a mobile view for your users. Since you’re only accessing the application APIs on your web application’s server, and the user has already linked up their mobile device to their Google account, there are no special techniques for authentication and authorization when using this lightweight approach. With the latest advances in HTML5 web technologies such as offline and local storage, it’s possible to build mobile interfaces for business apps which are full-featured and accessible to users on many devices. The primary goal in building the mobile web application is to optimize the user experience for different input devices, form factors and limitations in network availability and bandwidth. Does your application need access to hardware-specific APIs which are not available in a web browser, or do you feel a great user experience can only be achieved using native code? Several Apps Marketplace vendors have built native applications for popular mobile platforms like Android and iOS. Although it takes considerably more effort to build multiple native applications to cover the major platforms, these vendors can also take advantage of the additional distribution channels offered by mobile stores. Authentication and authorization are often challenging for developers building native mobile applications because they cannot simply ask users for a password if their app supports single-sign on to Google with OpenID. We recently published an article describing a technique using an embedded webview for accomplishing OpenID authentication in mobile apps. This article includes references to sample code for Android and iOS. 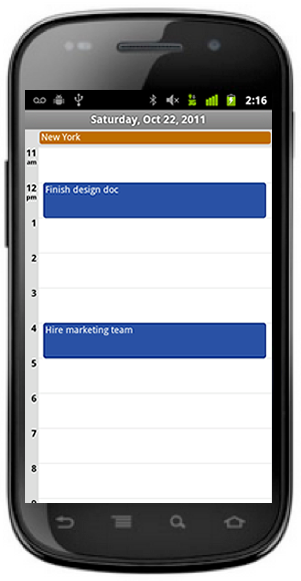 Many Project Management applications, like Manymoon, store important dates on Google Calendar. These dates are then available on mobile devices. GQueues has a HTML5 mobile app. Their founder has written about why they used this technique. Native applications, such as the OpenID Sample Store displayed, can use an embedded webview to authenticate users. The Google Apps Marketplace is a storefront for Google Apps customers to discover, purchase, deploy and manage web applications which are integrated with Google Apps. These applications are typically used from desktops and laptops, but many vendors on the Apps Marketplace have also optimized the experience for their users who are on-the-go. There are several different strategies for enabling a mobile workforce, and each requires a different approach to authentication and authorization.